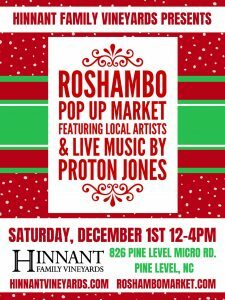 Come enjoy a nice leisurely afternoon at Hinnant Family Winery with live music by Proton Jones. 20+ vendors and artists! There will be door prizes every 39 minutes! !